The French artist group, HANATSU miroir will come to Japan from Starsbourg, and on 27th of February I will take part in their performance, "Fil d'eau" as a guest performer. The programme includes three pieces. I will particularly perform Noh Operetta "Mizu No Wo" composed by the Japanese composer, Hidehiko Hinohara. It was based on the popular Japanese novel and TV drama "Be with You" by Takushi Ichikawa. 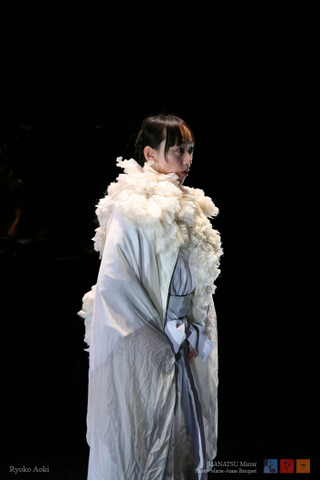 I commissioned Hinohara as a part of Noh×Contemporary Music series in 2010. It was a voice solo piece, and I performed several times in many countries. 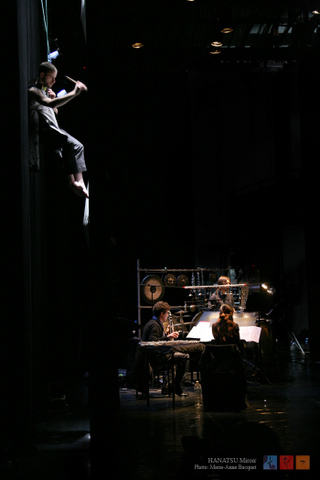 Furthermore, HANATSU miroir commissioned Hinohara to compose theatre piece based on my solo piece. 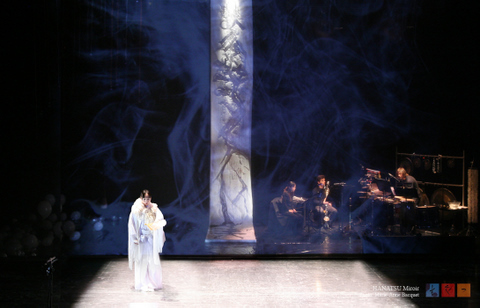 In 2011 we premiered Noh Operetta "Mizu No Wo" in Strasbourg, France. Finally, this time we will do Japan premiere of this piece. This is the trailor of the premiere of "Mizu No Wo" in Strasbourg in 2011. Please enjoy! !